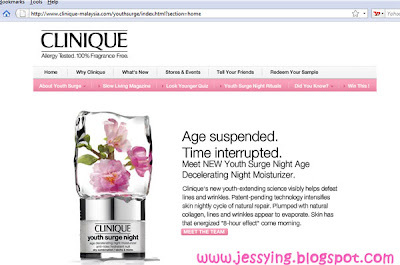 For those that have missed out their previous freebies from Clinique, here is the chance again to redeem a FREE Clinique Youth Surge Age Decelerating Moisturizer 7ml upon Expert Consultation. 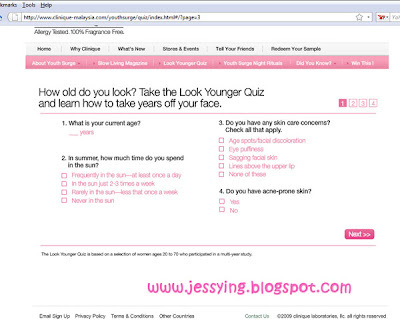 All you need to do is to register and an e-voucher will be sent to your email for redemption purposes. 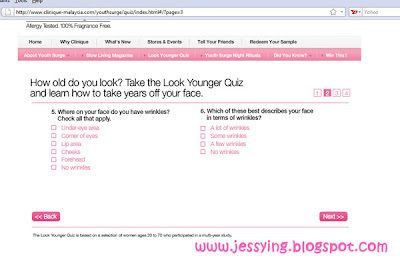 But before that let's find out how old do I look by doing a simple test in the website. 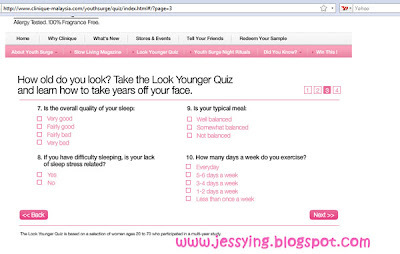 No more blogging middle of the night.. !! 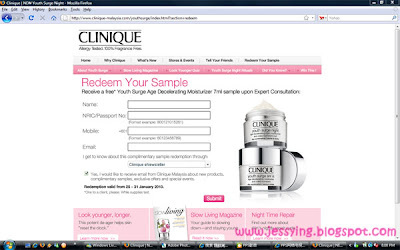 Click here to register to redeem the sample! 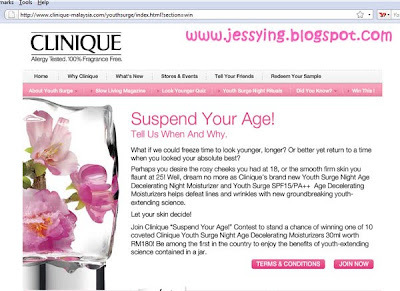 Also join the Clinique "Suspend Your Age" contest and stand a chance of winning one of the 10 coveted Clinique Youth Surge Night Age Decelarating Moisturizers 30ml worth RM180! Be among the first in the country to enjoy the benefits of youth extending science in a jar! Click here to join to win! Can u redemn again with this e-voucher? 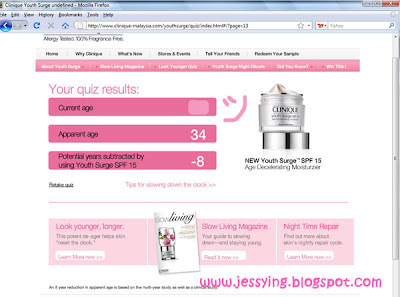 How bad?? Which branch? As i know the worst was at Isetan KLCC, even i holding the newspaper and i hvn't finish my word. The SA just said "No, No, No". And that was not the 1st time i get such a service. 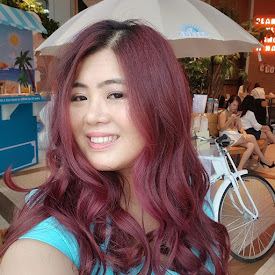 But Parkson SA was quite ok. 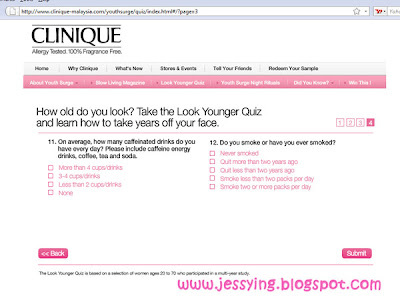 I used to buy from KLCC Clinique a lot. but her service now is so horrible. parksons ? havent been there yet.